Our commitment to growing our company and giving back is as strong as it was when we first opened our doors. A bevy of honors for Loudoun-based Modern Mechanical LLC continued Feb. 17, when the HVAC, plumbing and solar power company was selected by the United States Chamber of Commerce as a 2016 finalist for the Dream Big Award. The award recognizes those small businesses judged superior in the areas of customer service, strategic planning, employee development and community involvement. Modern Mechanical is the only small business in Loudoun granted the coveted accolade, and one of just four in Virginia to earn the national chamber's blue ribbon. The selection puts Modern Mechanical in contention for the Dream Big Award's top prize: a $10,000 cash award and the status of the DREAM BIG Small Business of the Year for 2016. That prize will be bestowed at the 12th annual America's Small Business Summit, June 13-15 in Washington, D.C. The national honor comes on the same day as Modern Mechanical was named Best Plumbing Company and Runner Up for Best HVAC Company by the Loudoun Times Mirror in their 2016 Best of Loudoun Poll. “Our commitment to growing our company and giving back is as strong as it was when we first opened our doors,” said Pete Danielson Co-Owner of Modern Mechanical. “We are proud of the jobs we have brought to Loudoun County and look forward to adding even more.” Just two weeks prior, Modern Mechanical was selected by the Loudoun County Chamber of Commerce as a Small Business finalist for its Loudoun County Community Leadership Awards. 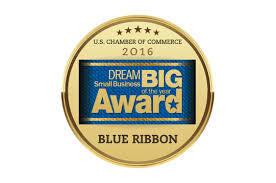 More information about the U.S. Chamber of Commerce's Dream Big Award, including a complete list of the 100 national finalists, is available at https://www.uschamber.com/americas-small-business-summit-2016/dream-big-award. 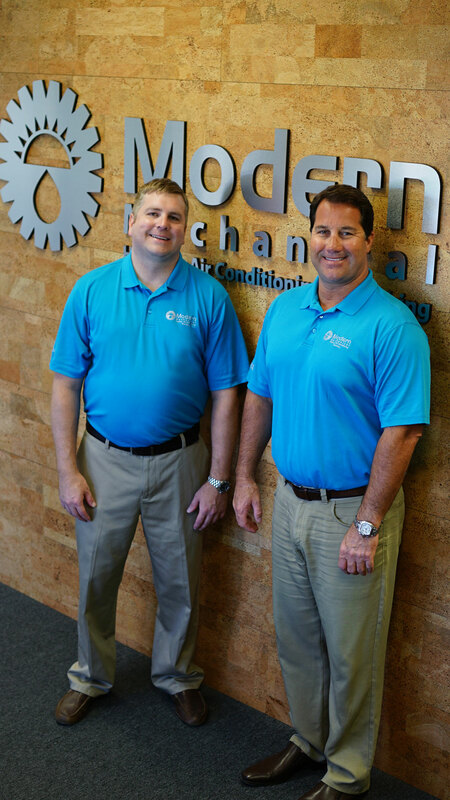 Founded by Loudoun County native Shawn Mitchell, Modern Mechanical LLC is a professional mechanical contracting firm providing advanced services for heating, air conditioning, plumbing and solar energy. Modern Mechanical has been honored with awards including Angie's List Super Service, Lennox International Premier Dealer, and the Loudoun County Chamber of Commerce's Business of the Year for 2014. The dual mission of Modern Mechanical is to help homeowners lower their utility expenses and improve their comfort, while serving the community as a socially conscious corporate citizen. Learn more at http://www.ModernMec.com.